Jägermeister, the brand known for shots and bombs, has a tricky proposition on its hands: It's attempting to transform its reputation as a drunken college staple while still appealing to its target audience of 21- to 24-year-olds. Its latest brand activation—an interactive experience debuting at this weekend's Electric Daisy Carnival in New York—aims to do both. 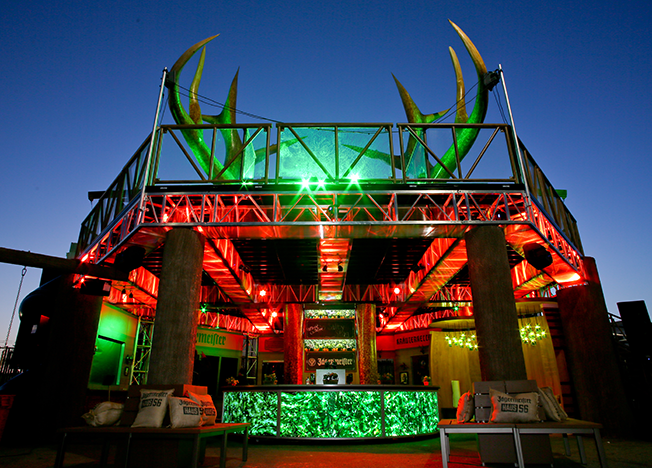 The activation, Haus56, is a two-level, tree house-inspired structure featuring two giant antlers, a symbol of the Jägermeister brand, which was founded in 1878. The company flew its designers to the headquarters in Wolfenbüttel, Germany, for inspiration. What they came up with will include typical festival attractions, like themed photo booths, body painting, temporary tattoos and a station for making bracelets and head crowns, but it also will celebrate the brand's history. The tree house is outfitted with chairs made from oak barrels, highlighting Jäger's century-old practice of aging its alcohol in oak. And upscale craft cocktails will be on offer. The brand activation will feature craft cocktails made with Jäger. 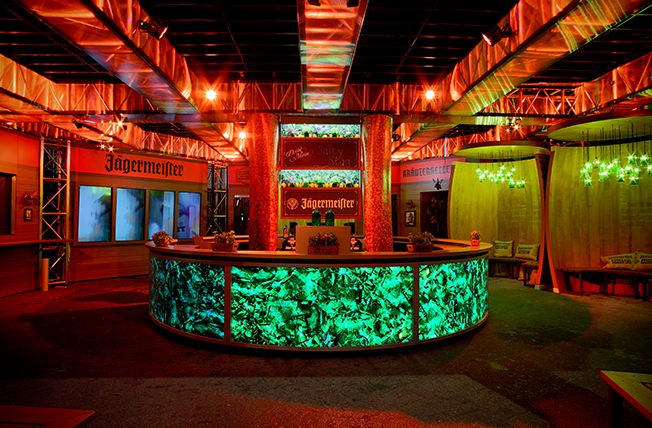 "We'll always be a shot brand, but we're showing everyone the versatility of Jägermeister in a cocktail," said Jack Carson, the company's director of event marketing. "It's a half-bitter, and it's considered an amaro, so it makes one of the most lovely Negronis on the planet. One of my favorite drinks is a Jägermeister old-fashioned, which sounds completely bizarre, but it'll change your life." Jäger's new focus on craft cocktails, and highlighting its heritage, will help it combat negative stereotypes, he added. "Millennials are the first generation that's been shamed on social media for public drunkenness, so they're very aware of it. They don't want to be seen as being out of control, so we're part of that conversation," he said. "Millennials also love craft. They love knowing that they're drinking a quality spirit. We have to get out of that shadow a little bit. Other brands might have to make up a history, but Jägermeister's been made in the exact same way since it was introduced. We've just never spoken about that in the U.S., so this is an exciting time for us." Jägermeister is partnering with Live Nation to sponsor six electronic dance music festivals this summer, and will bring Haus56 to the Electric Daisy Carnivals in Las Vegas and New York, and Hard Summer in Los Angeles.